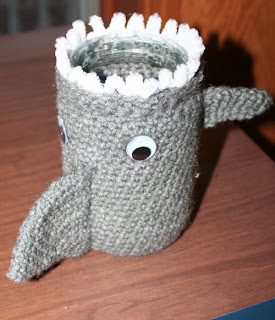 In honor of shark week I thought we could find a few free shark crochet patterns. 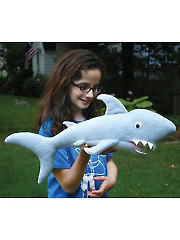 There are some adorable sharks to crochet and they make some great toys or decorations for the kids. The first pattern I found is a little involved but if you read through it first before starting to crochet you can make it up quite easily. This Shark Pouch from Mooglyblog is just the right size to hold pencils and all sorts of school or office supplies. It can be made to hold whatever will fit in his mouth!